Join CAPSA on Sept 27 at the Logan Country Club for our annual wine pairing and gourmet dinner featuring five courses perfectly paired with wine selected by Jim Rickards, Vintner and Proprietor of J Rickards Winery. 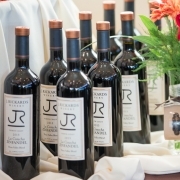 J Rickards Winery is a premier boutique vineyard located in California’s beautiful Alexander Valley. This year we are delighted to announce that Jim Rickards will be joining us at our event and will serve as sommelier. Wine pairings for the evening were personally curated by Mr. Rickards, and will be perfectly complemented by an amazing menu of delicious dishes selected by Hamilton’s Head Chef, Chip Lara. This will be a unique dining experience, not to be missed! 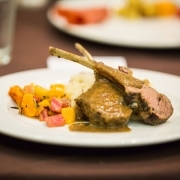 Last year, the wine pairing sold out 3 weeks prior to the event, so do not delay. J Rickards Winery is a 60 acre boutique winery located in California’s beautiful Alexander Valley. Known for producing exquisite Zinfandel, Petite Syrah, Malbec and Sauvignon Blanc Varietals. Their moto is “Passion… no pretense” this embodies the philosophy that guides J Rickards Winery from vine to bottle. Transportation through Salt Lake Express is being offered at no charge to guests. This will be a full-service experience, with pick up and drop off services to your home. 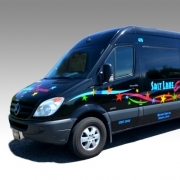 To reserve transportation please email our Event Manager at lindsey@capsa.org Routes will be available across Cache Valley, and guests can opt for round trip or one way transportation to and from the event. Forgot to reserve your spot? No problem! We will be happy to make arrangements for rides home the evening of the event. This year’s dinner was carefully crafted by Off Premise’s Owner, Justin Hamilton, Head Chef Chip Lara and our Resident Sommelier, Mike Parent. Guests will enjoy a five course dinner with course pairings. There are also menu options available to accommodate vegetarian, vegan, and other dietary requests. The menu will be posted in the Facebook Event Page the week of the wine pairing. Click Here to mark you are attending and receive updates. 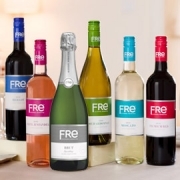 This year we will be featuring Sutter’s Home FRE non-alcoholic wines. Just as with traditional wine making, premium grape varietals are sourced and aged. Once the desired flavor, texture and balance are reached the alcohol is removed using spinning cone technology and heat. This process preserves the delicate flavors and aromas while removing the alcohol from traditional fermentation. Guests can indicate this pairing option at check out. Invitation to Vintners Reception (5:45pm – 6:30pm) – Enjoy a private tasting and appetizers prior to the event while you mingle with Jim Rickards, Vintner at J Rickards Winery, and other oenophiles. 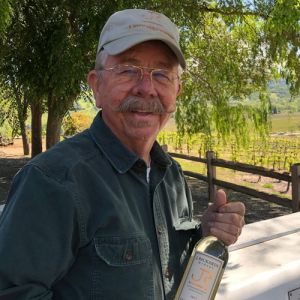 Invitation to Vintners Reception (5:45pm – 6:30pm) – Enjoy a private tasting and appetizers while you mingle with Jim Rickards, Vintner at J Rickards Winery, and other oenophiles. An upscale 5 course dining experience, featuring course wine pairing by J Rickards Winery.